IBM Lifetime Champion, Theo Heselmans, puts on a stunning conference every year. Last year over 400 people attended. They were IBM Customers, end users, IBM business partners, members from other user groups, people from IBM and HCL and I’m sure there were other representatives as well. 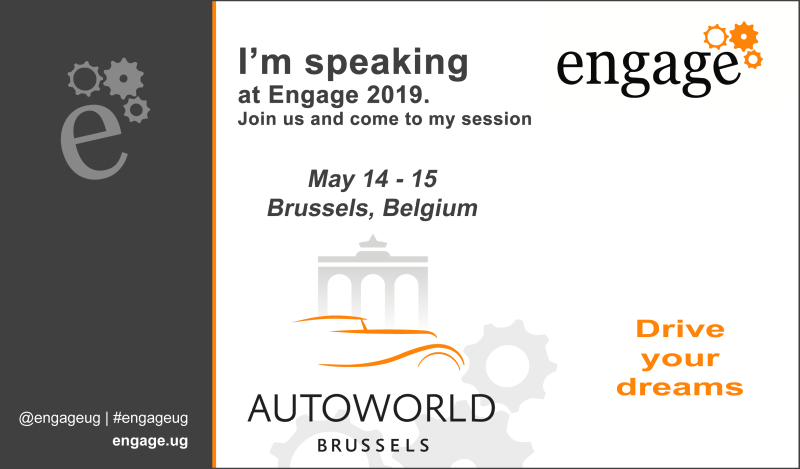 This year the conference will be in Brussels on May 14th and 15th, at a venue called Autoworld. Theo always chooses awesome venues, and the conference is just great on all levels. You learn a lot that you can take with home to you improve work, technology and processes in your organisation. In addition friendships, business deals, cooperation and social collaboration soars at this event. Here are my photos from last year, if you need even more incentive to come. But listen: I will be speaking! And what a session I will give you! This is the first year I travel in my new dayjob, for iSi, and it’s one impressive solution I will do a session on. Have you ever seen a Domino based system that combines traditional Notes applications with GPS measuring devices, Electron apps, JSON, Xpages and Java-servers to keep roads safe? You will now! This session will show you a system that takes care of the entire workflow from the sales pitch to the invoice.You will learn how the Norwegian company Arvid Gjerde AS use decades old Notes applications, seamlessly with top modern technologies and third party platforms to map GPS coordinates for crash barriers along Norwegian roads. In addition they log man hours, create quality reports and service requests, automatically export GPS coordinates to Norwegian road authorities and generate invoices with Visma. This session will be inspirational for managers and developers alike. And that’s not all! Check out the entire agenda here. So what are you waiting for? Sign up! I’ll buy you a coke or a beer. Or give you a hug!